MEMBERSHIPS AS LOW AS $10 A MONTH! 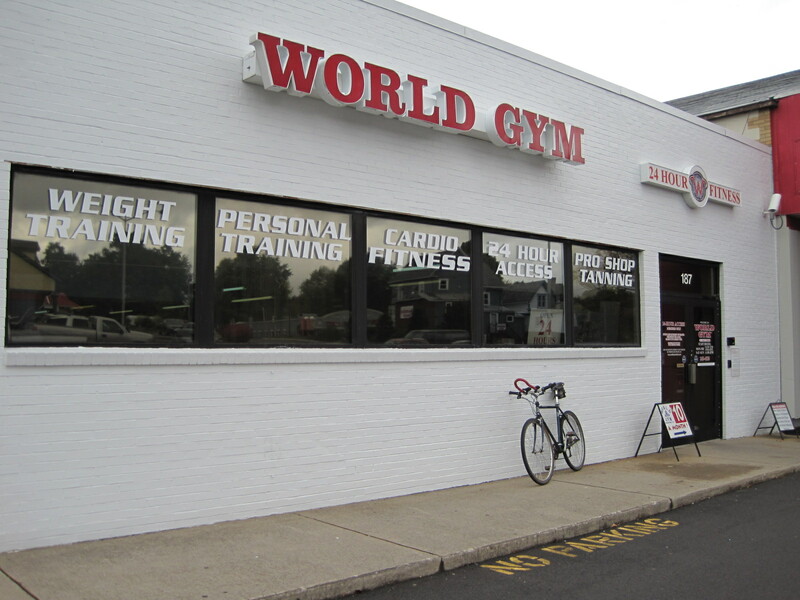 WORLD GYM WEBSTER is the only 24-hour key card club of its size in Western New York, offering its members 24/7 ACCESS TO THE GYM, 365 DAYS A YEAR! We have been in business 15 years, making us the longest-running gym in Webster. We were voted BEST OF WEBSTER by the U.S. COMMERCE ASSOCIATION in 2010. All this for as little as $10 a month! In 2011, we added ALL NEW SPORTSART TREADMILLS. In 2012, ALL NEW FLAT SCREEN TV'S. Our remodeled downstairs has added 2000 square feet of workout space, away from the main floor of the gym. For those who don't want to work out in front of everyone, our private Cybex circuit and cardio. studio are perfect for a quick workout away from the masses. The best prices, the best atmosphere, the best equipment, the best personal training, the best music, the most convenient tanning, and the friendliest, most qualified staff in town. PROVEN FITNESS, 24/7. Our 9000 square foot facility has over 50 pieces of the finest cardio. equipment including ALL NEW SPORTSART TREADMILLS, Lifefitness treadmills, Precor, Star-Trac, Lifefitness, and Reebok elliptical machines, Stairmaster PT4000's and 4400's, Schwinn, Star-Trac, and Stairmaster recumbent bikes, and the legendary Lifecycles. We have the ultimate in strength equipment with Nautilus Nitro, Icarian, and Hammer Strength circuits, the best in Icarian free weight equipment, and the private Cybex circuit in our downstairs studio. Need more? See for yourself by taking a visual tour of the facility on the "VIRTUAL TOUR" page. Contact us by phone at 265-4530 or e-mail us at info@worldgymwebster.com. Find out more at www.worldgym.com. WORLD GYM WEBSTER. Webster's Only 24-Hour Fitness Center.